I have always loved a good snow globe and I wanted to do a spin off on the classic Christmas Decor. 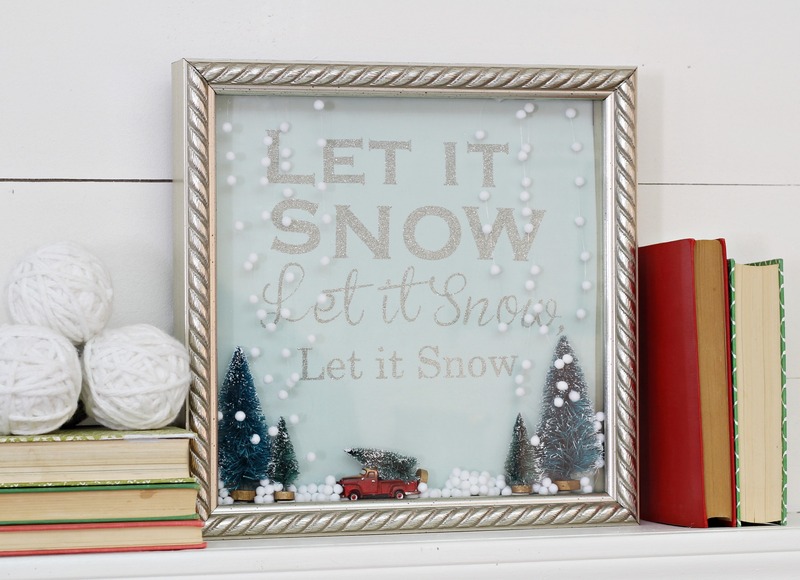 I saw this great shadow box at Joann’s and I made this cute shadow box snow globe. 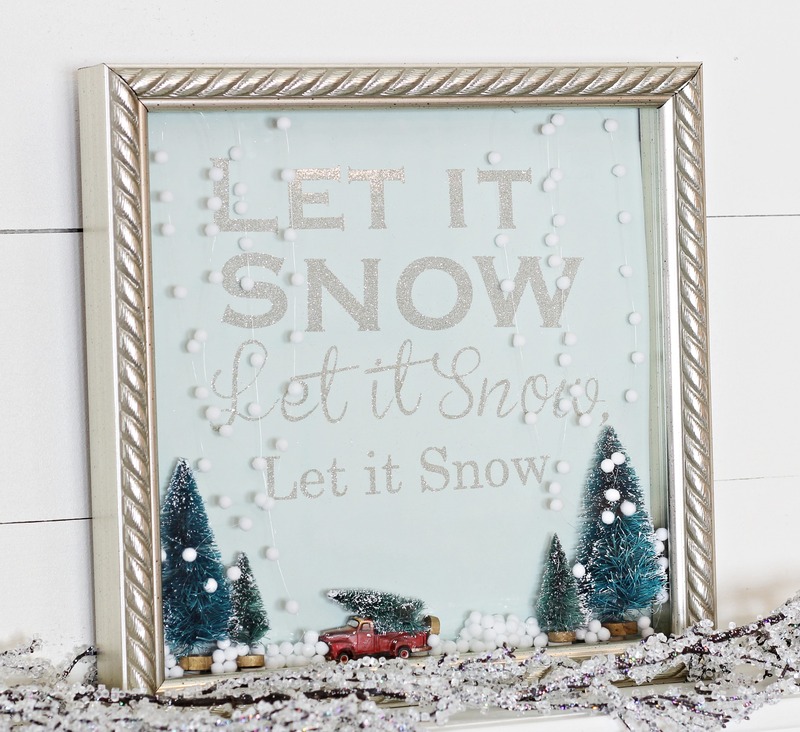 Cut out the letters using the Cricut and then attach letter stickers to the paper to create a backdrop for the snow globe. Tie a knot at the end of the fishing line. 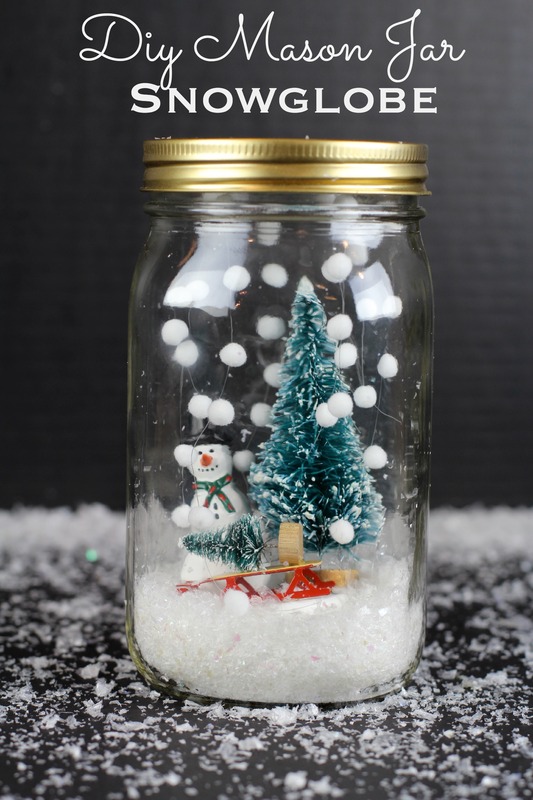 If you liked this, be sure to check out our DIY Mason Jar Snowglobe! This shadow box is such a great idea! I never would have thought to use one that way. I’ve included it in my DIY Christmas Decor roundup on the blog today!